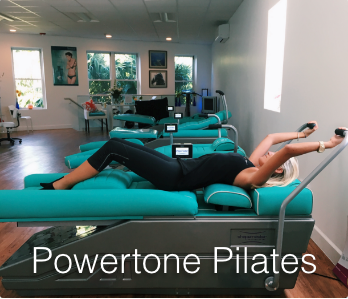 Powertone Toning Tables incorporates Pilates - two unique systems in one, working your body smart, not hard! The Pilates method concentrates on strengthening the deep postural muscles and re-addressing muscle imbalance. By doing so, it increases flexibility and strength whilst improving posture and body awareness. The Powertone Tables will put you in the perfect position to exercise without causing stress to the body while actually completing the movement for you! so you can engage your core and concentrate on breathing techniques making the exercise more effective. Caroline offers individual body sculpting exercises on the matt to taylor to your needs. Regain your core and more!! The Hipster gently tones and firms hips, buttocks, lower back and legs. 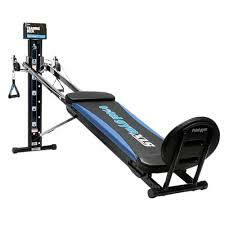 On this machine we will train you to breathe and engage your core as you arrive. 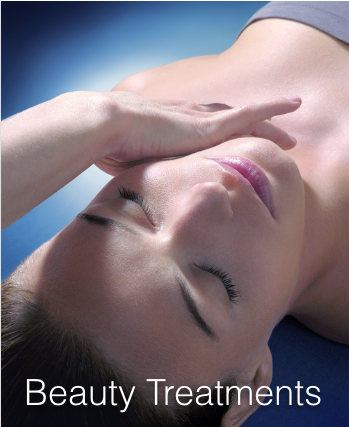 This machine can be used both prone or supine. The pelvic floor muscles, transverses abdomens and multifidus. Strengthening these muscles will protect the back from injury. This muscle connects the pelvis and spine to the legs and influences pelvic alignment. Balancing this muscle reduces tension and pain in the lower back. The Tummy Crunch machine firms and flattens the entire abdominal group of muscles while strengthening the lower back. You are able to control your breathing and engage your core safely while the machine moves you slowly and in good form. 5 minutes gives you 75 perfect sit ups!! The Rectus Abdominus contracts during the sit up motion while the knee to chest action adds extra work load to the lower abs. A Torso extension follows the sit up which strengthens the back extensors to reduce lower back pain. Rectus abdominus is a flexor of the spine and by acting on the ribcage this muscle contracts the front of the body and helps to maintain erect posture. The Powertone Pilates machines are safe and effective after surgery. The exercise can be adjusted to mobilise the hips, knees and buttocks; to reduce tension associated with the (S.I.) sacroiliac joint and (I.T.) iliotibial band. On this machine you will shape up your legs and regain tone to the arms, shoulders and back while improving hip mobility. alternately training inner thighs with chest and arms or outer thighs and hips with back and shoulders. The Fly's and Thighs helps improve mobility within the hips and increases muscle strength in the pectoral and posterior deltoid. Desk workers have shortened pectoral fibers causing the shoulders to pull forward. This machine both strengthens and releases the pectorals ensuring balance is maintained in the chest region. The lower body engages the abductors and adductors; important in stabilizing the hip and knee in standing, running or walking. These muscles often become imbalanced but the Powertone Pilates System will strengthen these muscles equally. The Posture Pullover helps improve Posture as the chest, shoulders and upper back are exercised. The moving pad gently lifts the ribcage, helping the chest to expand and lungs to oxygenate. Improving Breathing and Posture. You will concentrate on engaging your core and pelvic floor muscles as the machine will guide your arms overhead. Your ribcage will be encouraged to expand and stretch as the moving pad gently rocks beneath the thorasic spine. The upper arms and waistline also benefit from this exercise. As we age, the muscles in between the ribs become tight; causing the diaphragm to overwork because of the lack of movement in the ribs! This machine encourages our ribs to remain supple so we will not fatigue easily. Tones and strengthens the buttocks, hips and tummy while improving the coccyx alignment. The unique movement of this machine helps to strengthen and tone the stomach and hips whilst working to firm and and lift the buttocks, simultaneously enjoying a gentle massaging action. The results after using this machine for 6 weeks will be shapelier buttocks. Finally it will improve your gait pattern as this muscle is the main extensor of the hip. Giving you a limber lumbar! The Waist Away is a superb exercise for the oblique muscles. Creating firm, flat abdominals and a narrow waistline. while simultaneously adding strength and flexibility to the lower back. The internal and external obliques are diagonal muscles which lie underneath the Rectus Abdominus. These muscles are responsible for twisting actions. The erector spinae muscles are also involved and strengthen the lower back. This unique exercise combination will provide fast results creating a slim waist and firm flat abdominals. This machine will gently rock you as a reward to completing your circuit! We have now added 2 Total Gym Strength training apparatus. 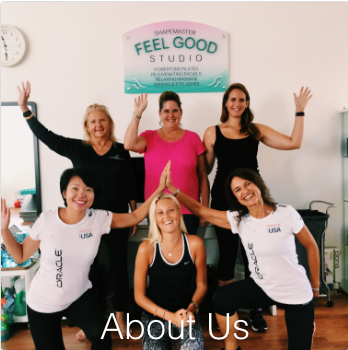 We will guide you to improve your core while developing muscle tone using a pulley system which works the entire body with different exercises to sculpt and tone under our guidance and care.